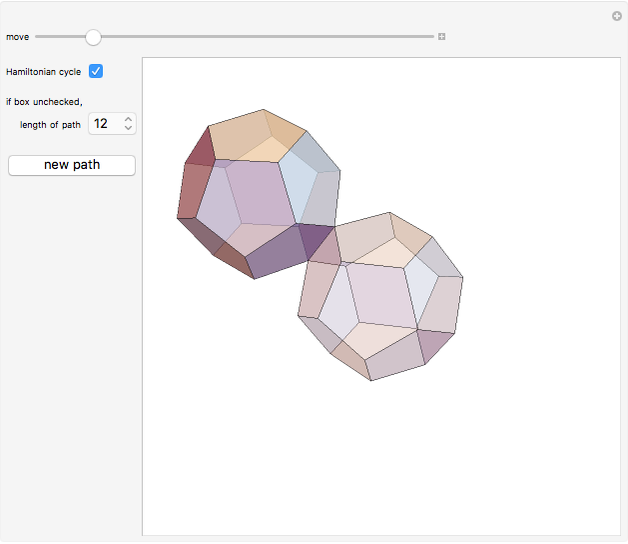 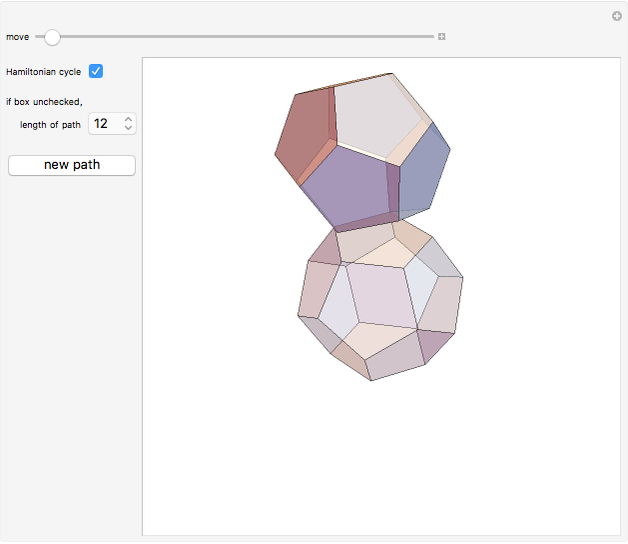 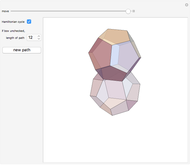 This Demonstration shows a regular dodecahedron rolling on a congruent dodecahedron. 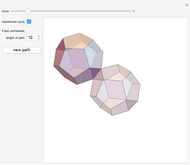 In a Hamiltonian cycle, each face of both dodecahedra is covered exactly once. Izidor Hafner "Rolling a Regular Dodecahedron on a Congruent Dodecahedron"